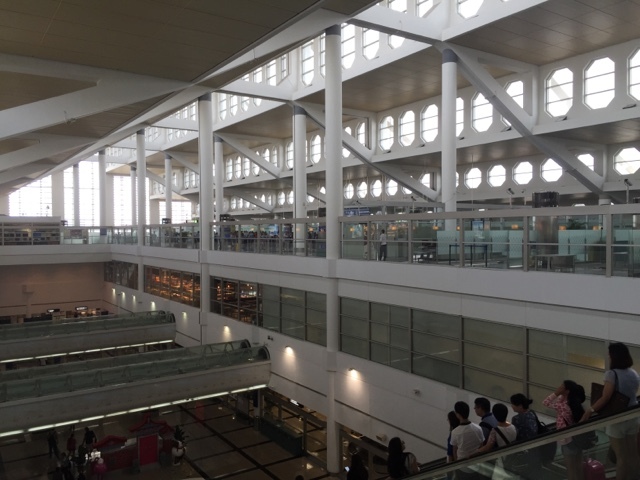 Welcome To My 77th Airline - Xiamen Air's Trip Report! *Aircraft photos are credited to the respective photographers from airliners.net and jetphotos.net. I was looking at the trip reports regularly for ideas for my next trip and this planning took place a few months ahead. My favourite city, Taipei was in my mind, the question was how to get there. After brainstorming, I decided to do something more adventurous, that is to fly to Taipei via China. I was looking at new Chinese carriers (for my flight logbook) to fly and first came into my mind was Xiamen Airlines. The only thing that is making me reluctant to fly is because of the narrow-body, the Boeing 737-800 which I don't want to fly on a 4 hours flight, it can be quite uncomfortable especially if the flight is full. 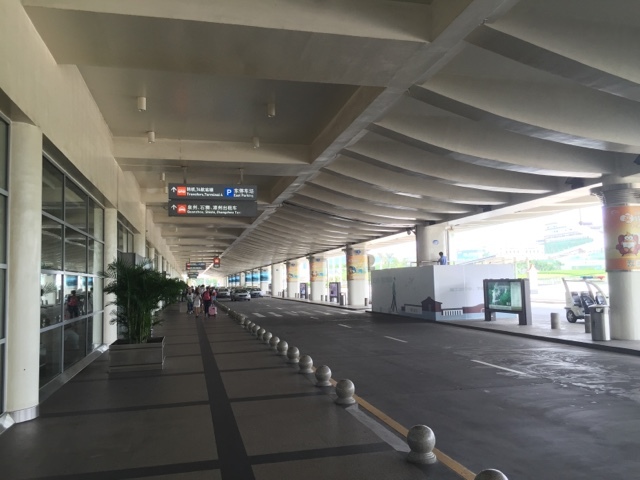 Initially, my plan was to fly either to Fuzhou or Xiamen and connect to a flight to Taipei, but flying the Boeing 737-800 on 4 sectors was boring, so I decided to do more research. Finally, the route - Xiamen/Fuzhou to Beijing struck my head especially after realizing the Boeing 757 and 787 are flying on this route. 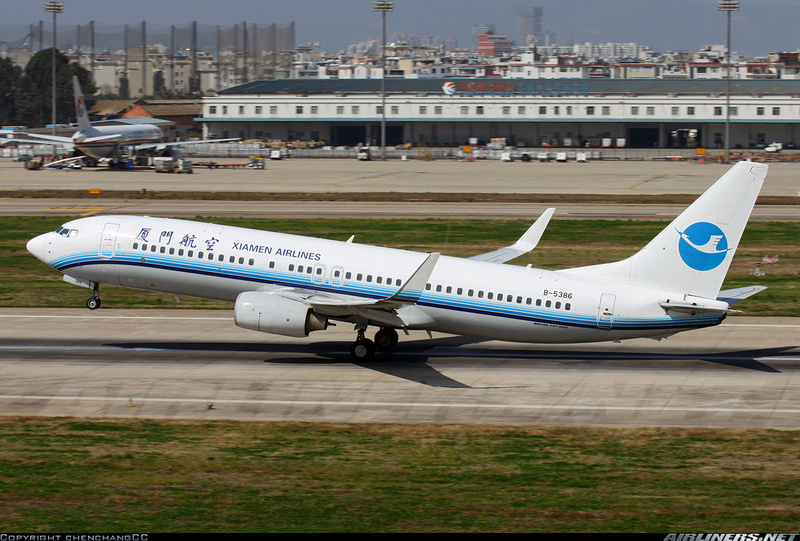 The Boeing 757 was a must especially its so difficult to fly on one especially in South-East Asia. 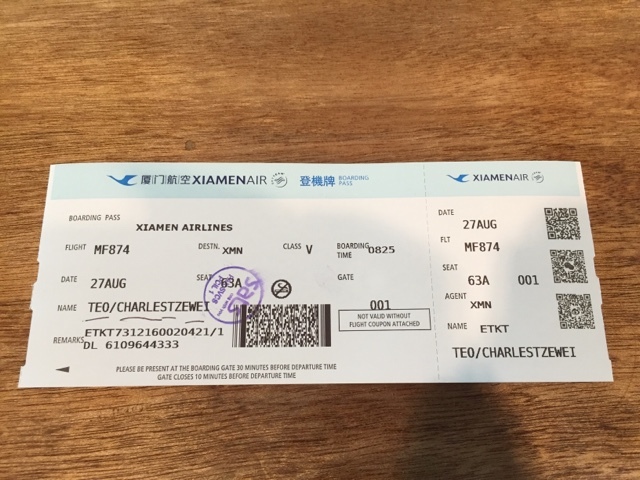 I decided on Xiamen to Beijing route since the flight timing and aircraft type suits me better as I was purchasing the discounted ticket for the Singapore-Xiamen-Beijing-Xiamen-Singapore sectors. The total cost of it is S$590 which is not bad at all! If everything goes to plan, I get to log the airline's 737-800, 757-200 and 787-8 and that would be very satisfying. Once the ticket was confirmed, I had a few more decisions to be made. First was to decide on the airline to fly from Beijing to Taipei, and it doesn't have to be direct. 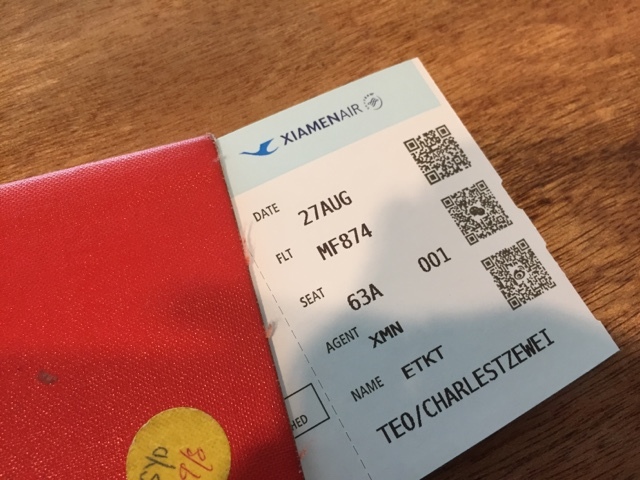 Sadly, my return flight on PEK-XMN was changed to Boeing 787-8 Dreamliner, which means I get to ride on it twice and for the Boeing 757, the wait continues! 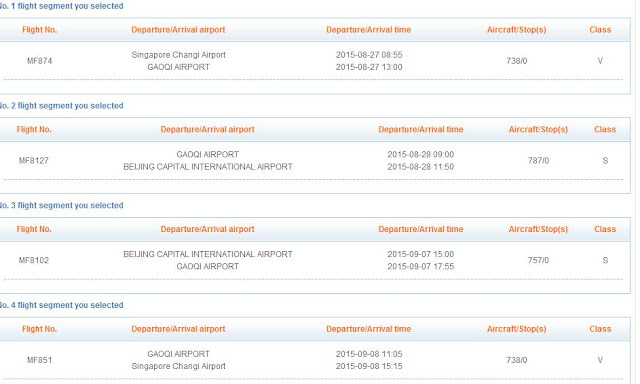 Checking on 'Skyscanner', I came across two airlines that caught my attention; Air Macau and Hong Kong Airlines. Hong Kong Airlines flies the Airbus A320, Airbus A330-200 and -300 from Beijing to Hong Kong to Taipei while Air Macau flies Airbus A320 and Airbus A321 from Beijing to Macau to Taipei. I chose Hong Kong Airlines as it has better flight timing and of course flying the wide-bodies (Airbus A330) wins my vote. Later on, I found a ridiculously low fare on V-Air from Taipei to Chiang Mai for S$150 return and that includes selection of seat and luggage allowance of 15Kg, I booked it almost immediately, but the catch is I have to fly to Chiang Mai on the day of arrival on that evening and fly back to Taipei the next day, just to take advantage of this price. The other days are more expensive but that's the kind of travelling I don't mind suffering as long as its cheap and good. Later on, I added a couple of domestic flights in Taipei. Flying with Far Eastern Air Transport MD-80 on TSA-KNH-KHH sectors and then take the HSR (High Speed Railway) back to Taipei on the same day. Looks pretty complex right? 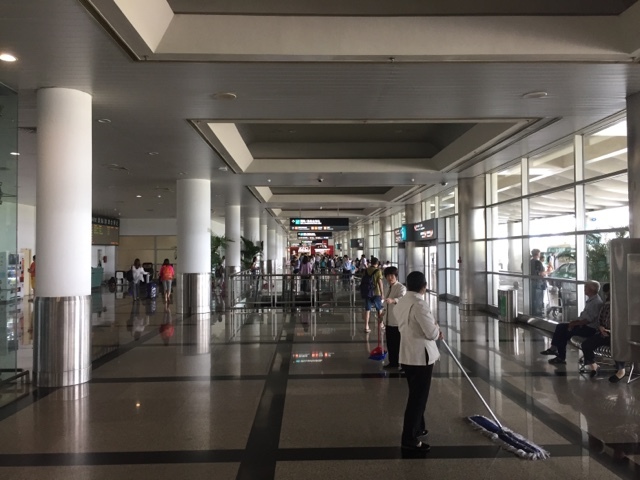 I have a day layover in Xiamen on both ways and overnight stay in Hong Kong and Beijing, everything turned out well as I had a good night stay at the lounges and hotels. The website has to be one of the most basic ones I used so far in 2015. It makes me feel like in the 1990s when the internet was new back then. There were a lot of functions missing compared to the advance airline's websites such as seat selection and online check-in for all passengers and destinations. You are able to view your booking and that's it. Any changes, you have to call the office to do so. 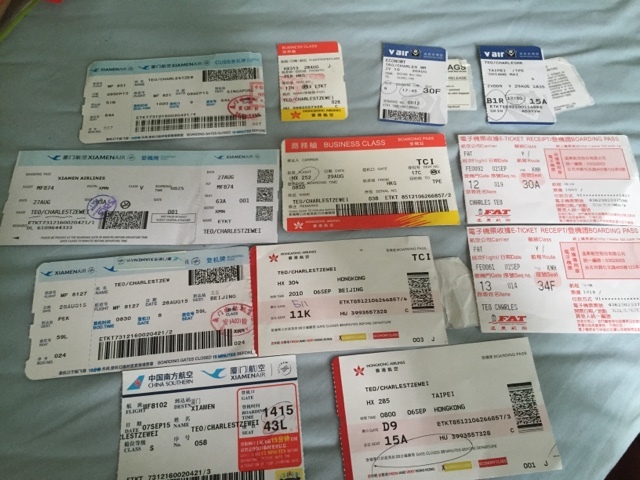 For seat selection for normal passengers, the staff at the airline's office can't do much to confirm your desired seat, they can only send in the request and this is not guaranteed. 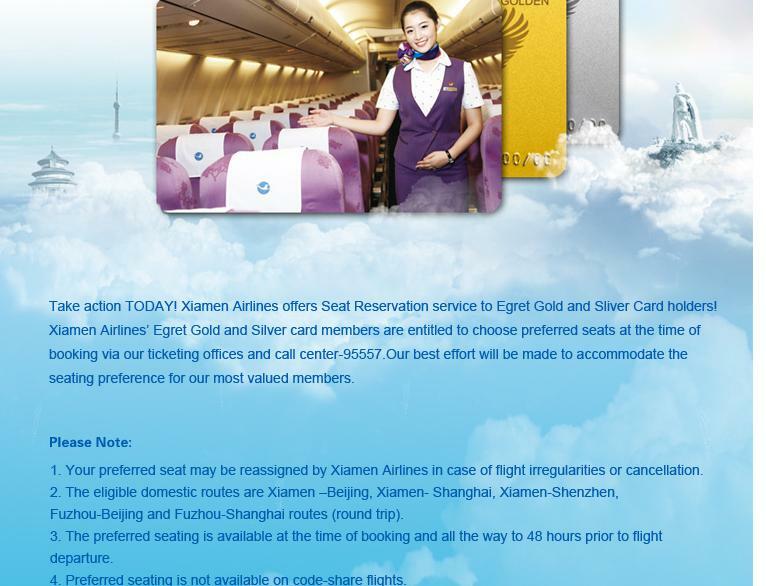 Only Gold and Silver card members have the seat assignment selection available for them. I am not sure about other airports but for Singapore, you can check-in a day before your schedule flight. 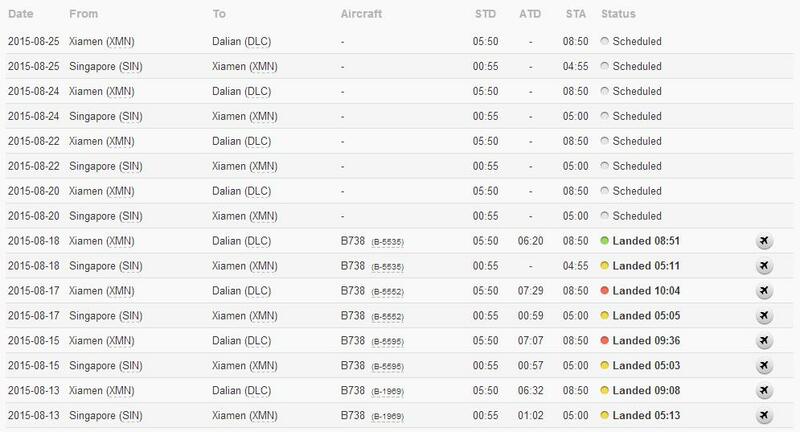 For international flights in China, you can only check in 2 hours before the departure and for domestic flights, you can check in early on the same day even if you do so in the morning and your flight is in the late afternoon. The airline's local website (Singapore). 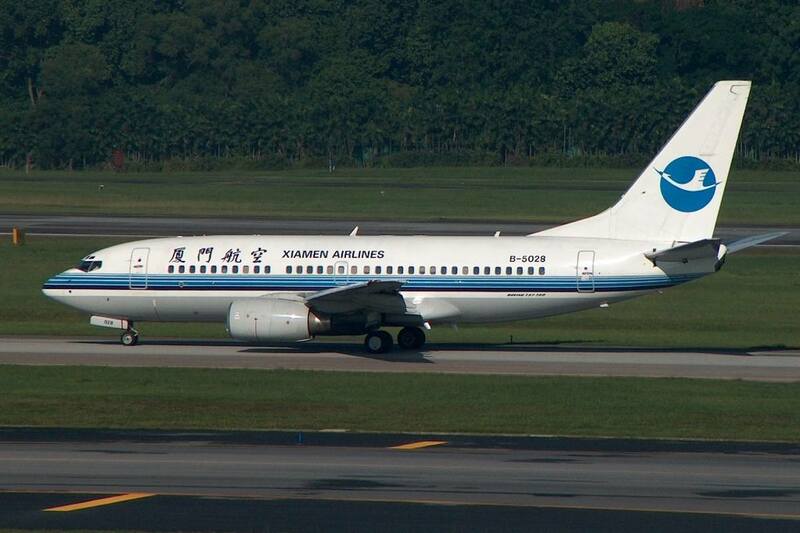 Xiamen Air, also known as Xiamen Airlines is the first privately owned company in China, established on July 25, 1984. The airline, like its name suggested, based itself in Xiamen Guoqi Airport. Fuzhou and Hangzhou are the other two bases. This airline is owned by China Southern (51%), Xiamen Construction and Development Group (34%) and Jizhong Energy Group (15%) and is the only Chinese carrier to operate an all Boeing fleet. 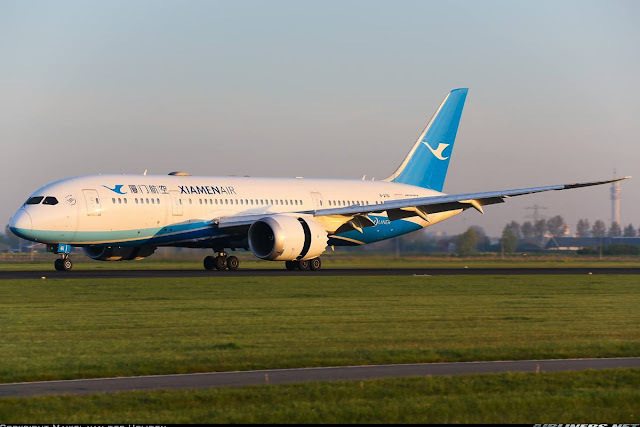 Currently, the airline operates a fleet of Boeing 737, Boeing 757 and its first wide-body, the Boeing 787 Dreamliner which is used for limited international routes and high demand domestic flights such as Fuzhou to Beijing and Xiamen to Beijing. Here are the photos of the airline's fleet. Checking the history of my flight, I have almost zero chance of hoping an equipment change to either Boeing 757 or 787. Luckily for me, my flight had 24 hours early check-in at Changi Airport, so I went down a day before to get my seat and check in my luggage. Its better to do so as you can avoid the long queues early in the morning, and if you arrive late, most of the good seats were have been taken up. The day before departure, I went to the airport terminal 1 which the airline is departing from to do my early check-in. 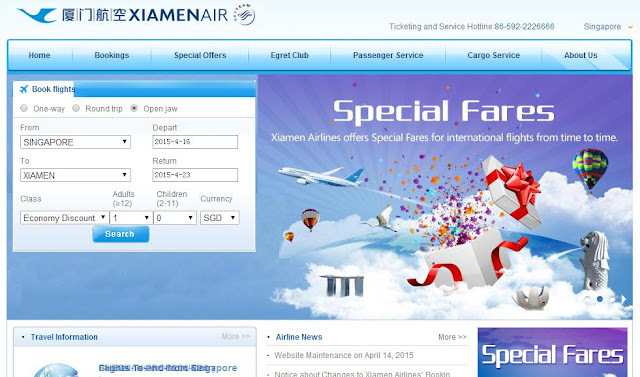 The staff directed me to Xiamen Airline's check in counter as she told me that I was eligible for check in over there. 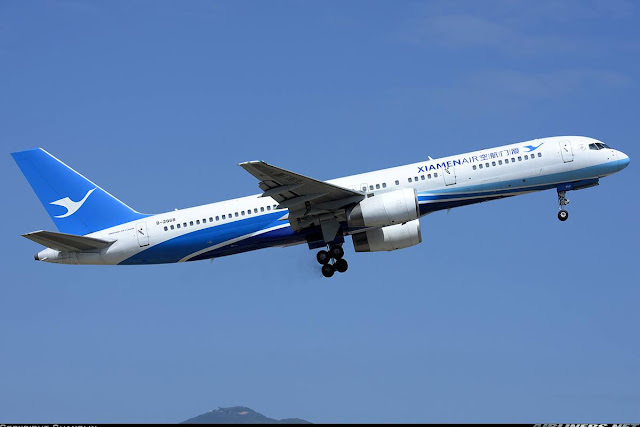 I was quite puzzled because my flight was departing the following morning and it was around 10.30 in the morning, so I went to find "that" counter, but couldn't find, so I headed to its partner airline, China Southern counter. The staff was helpful and went out all the way to check for me. Feeling puzzled, I went back only then the staff apologised for her mistake, she thought I was departing that day. Well, she could have checked the dates and timing more carefully, as I had shown her my itinerary earlier. No harm done anyway, just some unnecessary "exercise" for me. Her colleague - her senior came by and checked in for me. Once that was done, I waited for my friend, Samuel to come and we had lunch at Astons. 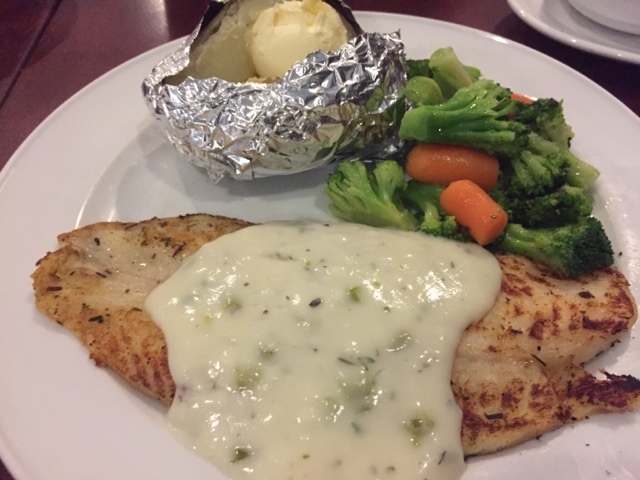 I had the grill fish with garden veggie and baked potato. Later on that evening, I did numerous checks on my incoming aircraft and it was severely delayed from Tianjin. Departed only around 10.30 pm local time which it was supposed to have arrived in Singapore. The aircraft had a stop-over at Xiamen before continuing its journey to Singapore. I did another check around 3.40 am and luckily for me, the aircraft was on its way. Waking up early usually for work is a torture but for this case, I got up without the need of the alarm clock and was soon out of the house in no time, the absence of the luggage (check-in the previous night) made it easier for me. Hopped onto bus service 53 which took me to the airport within 15 minutes. Once at terminal 1, I went through security and immigration and was at the air side within minutes. Changi Airport is one of the top airports in the world, but I still prefer Hong Kong and Seoul Incheon Airport over it. Despite giving my feedback to the airport a few times they have been ignored. Had the whole cabin to myself when I took the skytrain from terminal 3 to terminal 1. See the long queue at the check-in counter? This is for 2 flights, one to Xiamen and the other to Fuzhou. I was glad that I did my check-in the previous day. The number of flights departing that morning. 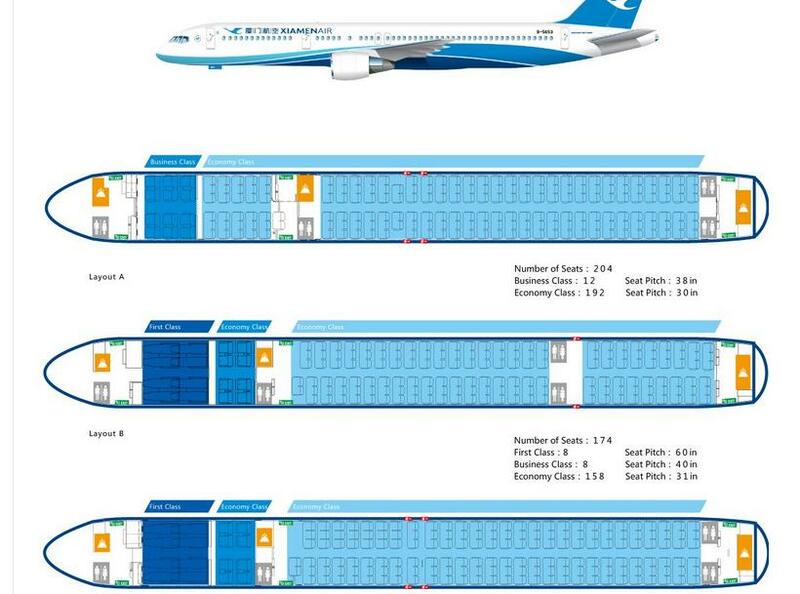 I wonder why did the airline use large numbers for the Boeing 737 seating arrangement. Exploring the air-side of terminal 1, it was quite busy that morning. No mistake that this is terminal 1 of Changi Airport. Make sure you check which terminal your flight is departing from if you are in a foreign country. My flight is code-shared with China Southern. It turned out to be a full flight. The excitement of boarding the aircraft! Flying the aircraft with the old livery of Xiamen Airlines and fitted with the non-BSI (Boeing Sky Interior) cabin. Eventually this aircraft, B-5386 will be painted in the new livery. Here are some photos of this aircraft. 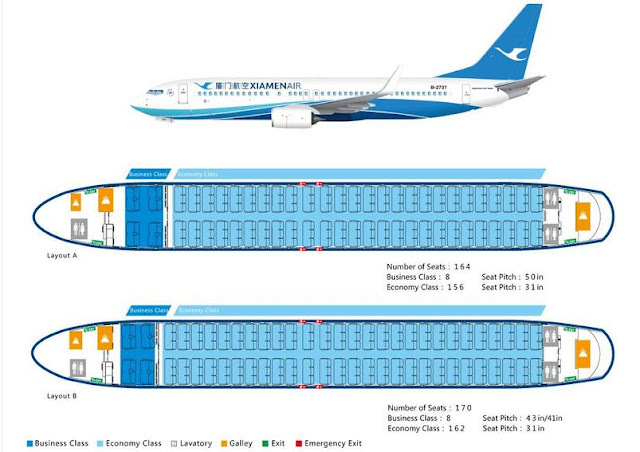 Do take note: Taking photos on Xiamen Airlines' cabin is allowed but the strange rule (This is from CAAC - Civil Aviation Administration of China) is cell phones and any other transmitting devices cannot be used at all times, so once the doors are closed and aircraft is prepared for pushed back, the devices need to be switch off. So even when the aircraft is cruising, the cell phones are not allowed to be used. Funny thing is that Ipad and other electronic devices can be used during cruising. I am pretty puzzled with this ruling but one thing for sure is the cabin crew are doing their duty, so don't blame them if you encounter this. Another thing to take note is that even if the airline is flying off from a foreign city (which allows electronic devices to be used), the foreign airline has to follow the rules from its homeland. The first thing that caught my eye when I entered the aircraft was the uniform of the Xiamen Air's crew, pretty stunning if you ask me and the female crew do look nice on them. Photos are credited to this website. 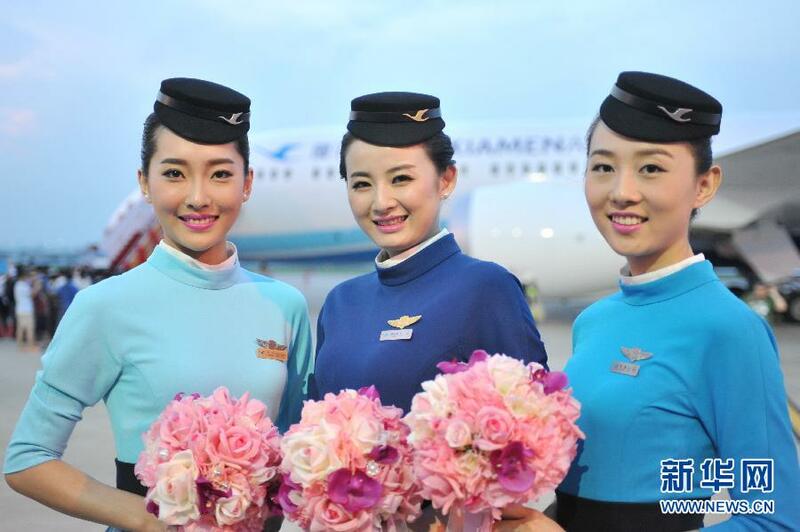 The different colours represent the seniority of the flight attendants' position with the airline. 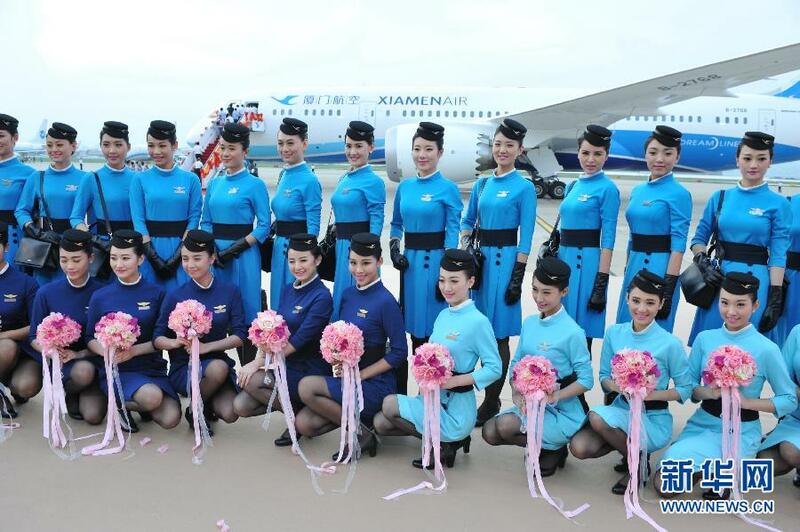 I certainly love the uniform, and as a big fan of the blue colour, this goes into one of the best looking uniforms in the airline industry. What do you think? The cabin crew on the other hand weren't welcoming. A few of them were not bad but the male and female crew standing near the emergency rows in the middle section seemed to have their minds elsewhere. I understand that they are tired, very little rest from their outbound flight but still, since you are at your job, do your best. You are representing your company. Later on, during the welcome speech (recorded), the airline promises the crew to be warm and friendly towards its passengers, but I got little of it, so first impression was a disappointment. Here are some photos of the cabin, I was disappointed to see the old cabin. Nothing to shout about, its more of a domestic business class than regional or international class product and there is no IFE system. So one can expect just the better comfort and food on this product compare to Economy Class. I won't pay too much for this product. The 2-2 layout in Business Class does help for routes longer than 3 hours. 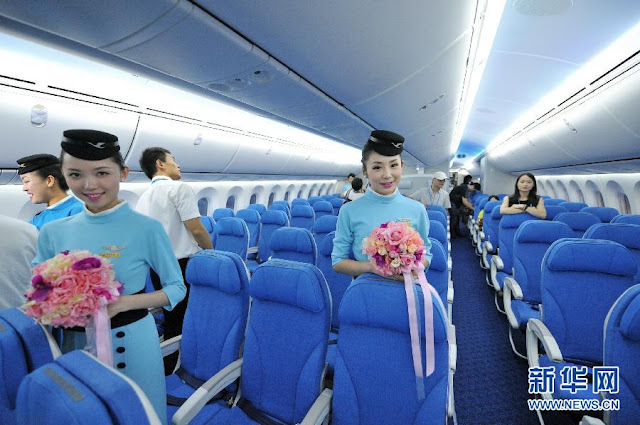 The Business Class was fully occupied with senior citizens from mainland China. The seats are basic especially without the IFE system but at least the legroom space was decent, its around 32' inch if I am not wrong. Walking in the cabin, this is the old cabin of Boeing 737. The new cabin looks like this - Boeing Sky Interior. Seats are the same between this and the newer cabin. You would expect blue interior since the airline's exterior is blue but I find it quite matching with the cabin crew's uniform. So for design wise, I feel that the airline has done a decent job. The reasonable leg room space and the lack of IFE system is obvious. The cabin crew told passengers to buckle up any vacant seats. The good thing about boarding the aircraft early is to get some shots like this as later on, the rear was pretty full. This is my seat for the next 4 hours. Unfortunately, there were 2 male passengers sitting beside me. It got quite uncomfortable after 3 hours of flying, and I reckon the passenger beside me (middle seat) was probably feeling worse than both of us. Drop-down screen was available on this flight and it showed a documentary and movie in Chinese, so for the Caucasian passengers, they have to settle for their own entertainment - Ipad and Laptop. After the meal was served, there was a long queue for the toilet and as this is a single aisle aircraft, you can imagine how frustrated the cabin crew having to ask the passengers to make way for them. They were not rude but you can sense a bit of impatience in them especially one of the female crew serving my section. Advertisement on the head rest cover at every seat. There is definitely more legroom space at the emergency row. Try to request it at the check-in counter. 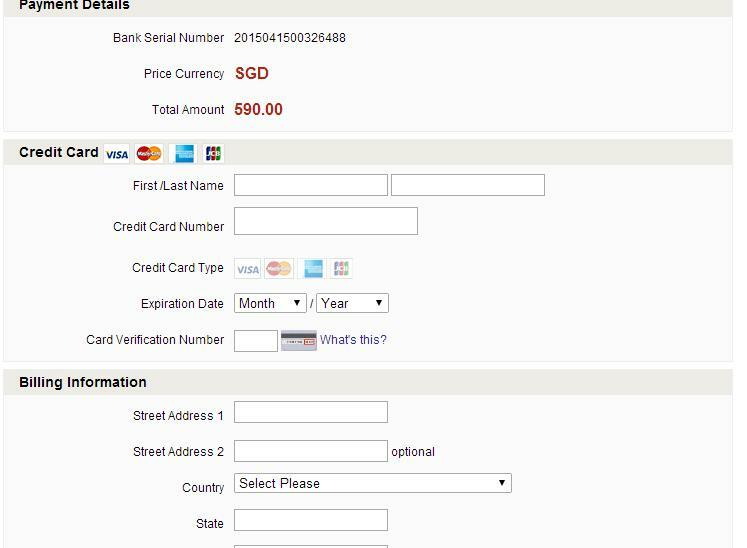 Do take note that online check-in is only available if you are flying out of China and you need to have a China phone number. Usually the front rows of the economy section has better legroom space than the ones near the rear. Overall, I find it to be comfortable for 2-3 hours flights. This is coming from a 6 foot 4 guy like myself. So if you are tall and flying on medium haul flights, get yourself either the emergency row or the aisle seat. Legroom space is definitely better than a Low Cost Carrier's 737-800. Boarding was done in an orderly manner. The PRC passengers were well behaved and we settled down not very long after. There have been recent records of ugly behaviour from these passengers, but certainly not on my flight. We pushed back on schedule and safety video on the drop-down screen was shown. Cabin crew came around and reminded us to switch off our electronic devices especially our handphones. I wanted to take a photo of the crew holding the no cell phone signboard, but of course I didn't want to implicate myself. After take off, the crew came about and started the service. Most of them looked tired and they weren't particularly friendly but at least they were professional. I find this set of crew lack of warmth and not particularly friendly especially to some of them requesting for blanket. On the whole, I don't find them that bad. Passengers were well behaved through out the flight and the crew had no problem requesting the passengers to return to their seats (during turbulence) and prepare them for arrival. That certainly made their work load lighter. At least on my way way out the crew stood at certain parts of the aircraft to wish us goodbye and have a safe journey. Heading to the immigration counter and it took around 15 minutes to get my passport stamped. Once I was at the land side, I seeked direction to my hotel, wanted to take the railway but took the taxi as the friendly airport staff recommended me to do so. What was provided on this flight? A bottle of water and a packet of peanuts were provided, that's not bad! Not many airlines serve bottle of water and packet of peanuts before the hot meal these days. There were 2 options: beef or chicken. I chose the latter. It doesn't look very appetising at first glance but it was not too bad. My seat mate's beef looked better. Polo sweet was given to every passenger during descending. Disappointedly, there isn't any aviation related items for sale, otherwise I would have considered getting a few. Head set for this flight, it has to be returned to the crew after the flight. I have to say how nice the safety card is. 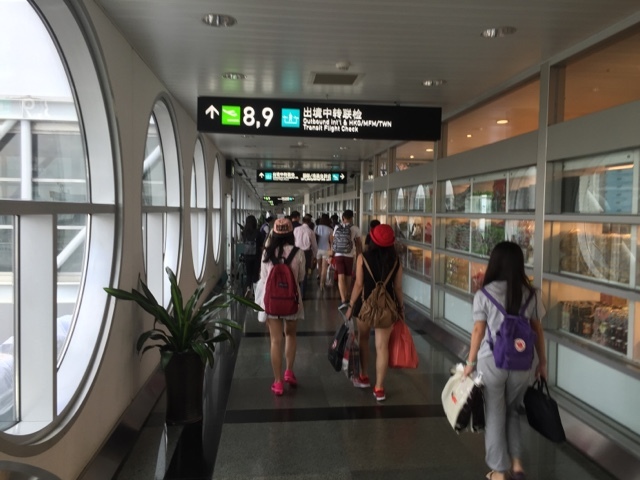 From the departure gate at Changi Airport to Xiamen's Airport arrival gate. Parked beside the Jetstar's Airbus A320. From the viewing mall at Terminal 1, you would be able to spot my aircraft. crew has to seek permission if they want to make changes to their flight plan like flying on a different flight level to avoid bad weather. So for this case, once the aircraft is pushed back (with clearance), engines are started then the flight crew will monitor the engine instrument to make sure they are running properly. Following that they would do the checklist for departure (flaps in take-off mode and others) and some final preparation checks before requesting permission to taxi to runway and get another clearance for take off. The Captain and First Officer would also discuss the action to take in case if the aircraft has to abandon the take off while rolling down the runway. Once the aircraft reaches V1 speed, the aircraft cannot abandon take off even with one engine running. The V1 and V2 speed are calculated by the flight crew and this depends on a few factors such as weather and the weight of the aircraft. For a 2-man crew, each of the pilots have different duties. One will fly the aircraft, the other will handle the radio communication. That's why you need the minimum of 2 pilots in the cockpit. For long haul flights, you will have stand-in pilots to help fill in the active pilots during cruising. A pilot's rest is crucial so if you see one on board, don't disturb him or her. Passing by TigerAir's Airbus A320 and UPS Boeing 767-300F (Freighter). As there was no traffic at that time, we taxied to the runway and took off almost immediately. Once you see this "piano" style markings on the ground, you know you are on the runway. Rolling down the runway. This time I didn't take a video of it. Our take off was powerful and we were soon at our assigned flight level. Flying over the sea near Changi is usually filled with cargo ships. The ride was to Xiamen was quite smooth, in fact there were only a few bumps along the way there. After a few turns, we headed towards the direction of China. Flying over the peninsula of Malaysia. Flying over the sea for a few hours. Twin jets or turboprops that fly over water requires ETOPs certification. ETOPS (Extended-range Twin-engine Operation Performance Standard) has different levels of certification which allows the airline to operate the aircraft at a certain amount of time with one engine. Usually the more established airlines or airlines with good maintenance record for a long period of time are given more minutes than the others. For example: 180 mins ETOPS and 120 mins ETOPS. Exams: Airlines with 180 minutes ETOPS can continue to fly to a nearby airport within 180 minutes of its current position, this is useful for remote places. For those who have only 120 mins ETOPS, they can apply for the 180 mins but have to pass a few tests. 330 mins ETOPS is the maximum for now. Entering clouds usually means turbulence and for this case, it was a light chop, nothing bad. We started our descend and was placed on holding pattern for a couple of rounds. 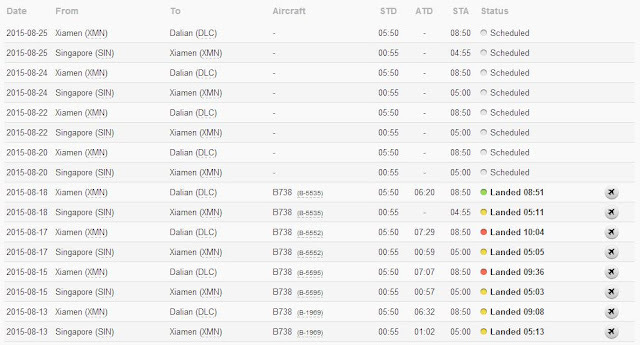 As Xiamen Airport uses only one runway, it was not a surprise that this occurs especially at busy airports. Pilots will look for smooth air to do so. Once we were out of the holding pattern, we were directed to land at runway 23. 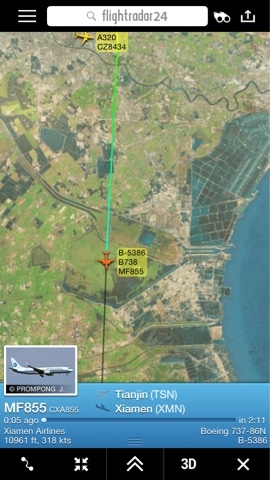 The sight of Xiamen appeared and before we knew it, we were on the ground. Landing was smooth and we touched down with a light bump. Reverse thrust was deployed and soon I was at the airport for my 2nd time. 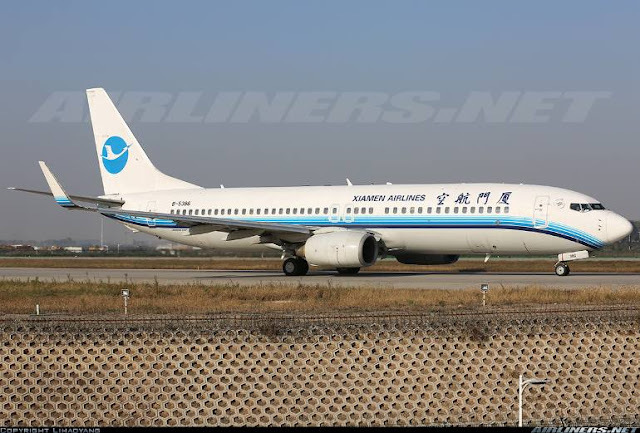 My first time was with China Northern's Airbus A321 which took place in 2003 and for this time, I have my own photos. You can check out the trip report over here. 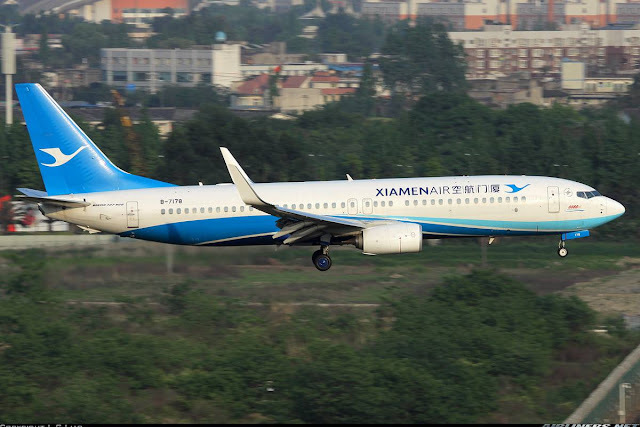 The land of Xiamen Air! 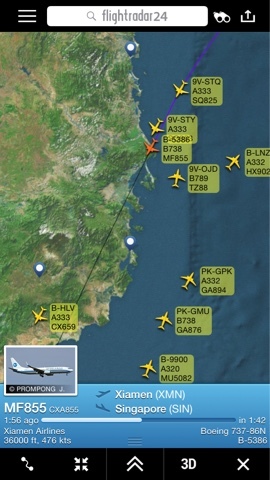 Manage to spot the airline's Boeing 737-700, -800, Boeing 757-200 and Boeing 787-8 Dreamliner. 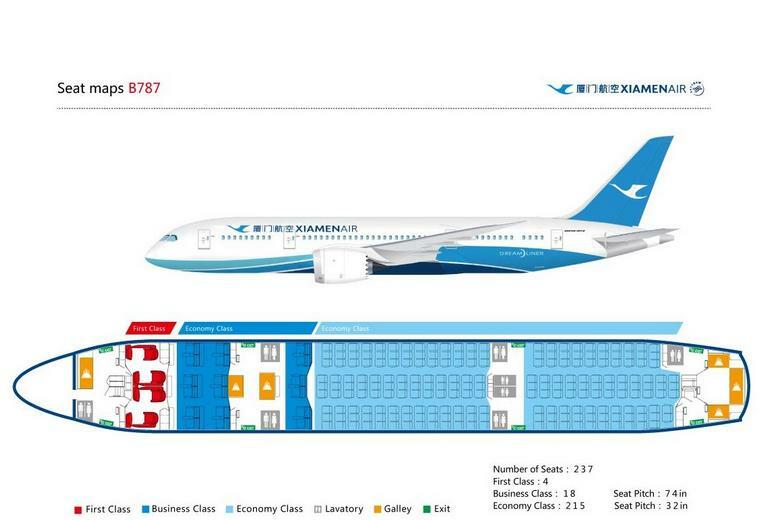 Personally, I like the new livery of Xiamen Airlines. A short taxi to our gate. Passed by fellow company's 737-800. The airline has room for improvement to compete with the top airlines in the world. It reminds me of the old EVA Air in the early 2000s - dated products and average service. 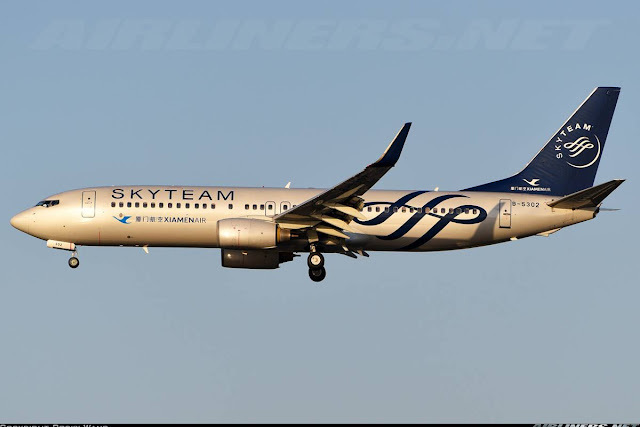 The airline could focus on certain areas such as improving its website which is definitely needed; revamping it to make life easier for both local and foreign passengers. Separate queue for online check-in would be highly appreciated for frequent flyers without status. First impression on the airline is mixed. Weak website, average service and no IFE system on the Boeing 737 flying on regional routes may turn potential passengers away so hopefully this airline can work on it. The priority should be focused on the website and the service. Without IFE system, at least the program shown on the monitor should have English subtitles for the foreigners. The positive side is the 737 has decent Economy Class seats - seat pitch and its comfortable enough for short haul, pretty nice crew's uniform and generous portion of meals (check out my other trip reports on this airline). I will give an overall conclusion of this airline on my final instalment (part 4) trip report of this airline. Thanks! Glad you enjoy. More to come. Great report and very helpful. 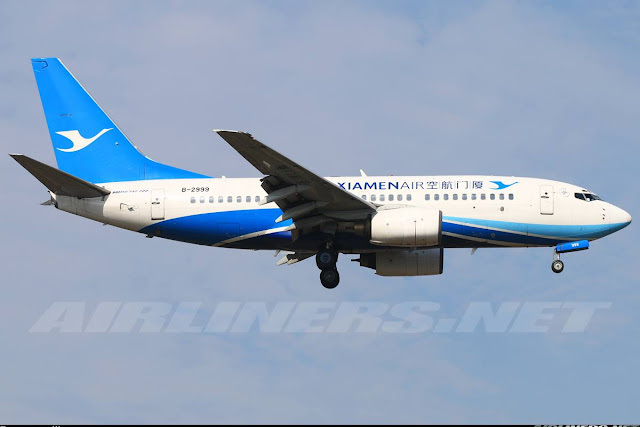 Im flying this flight next week and first time on xiamen airline. Have a good flight and if you have any questions, feel free to ask!